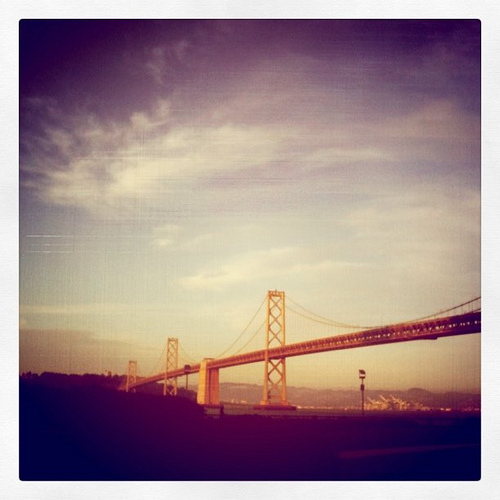 san francisco bay bridge along the embarcadero at folsom street. 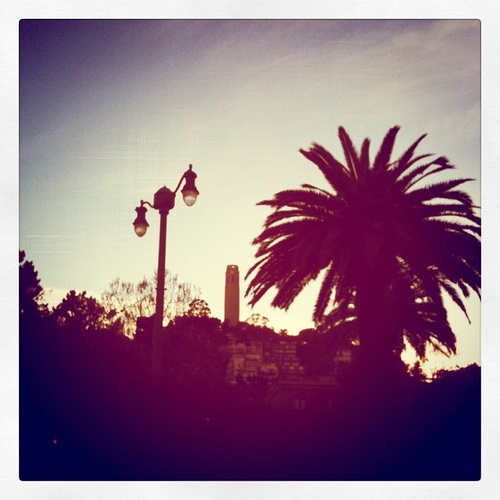 walking along the embarcadero with a view of coit tower and telegraph hill. 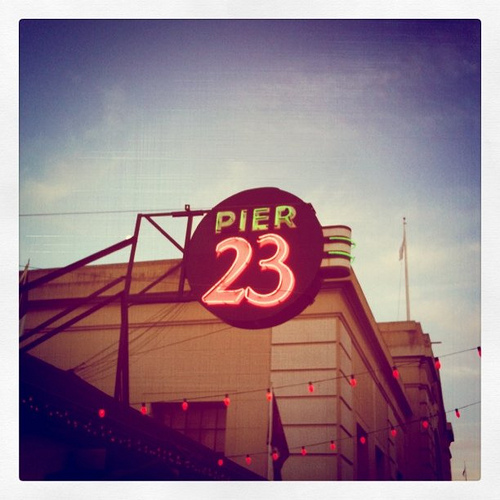 pier 23 on the embarcadero. live music, straw hats provided on the deck on sunny days and amazing calamari and margaritas.